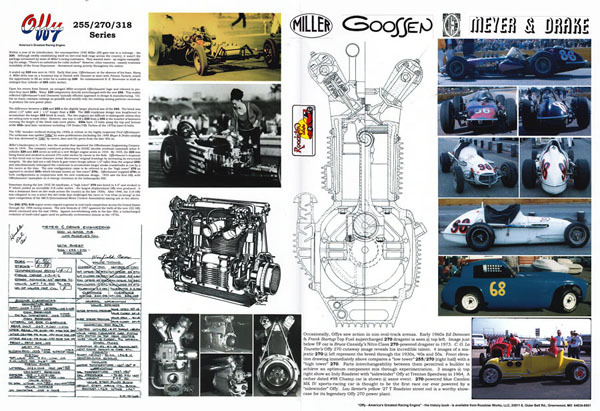 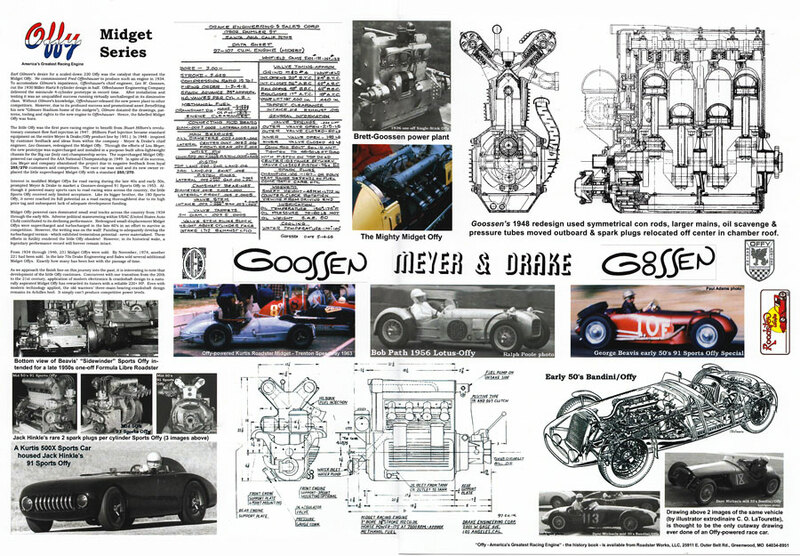 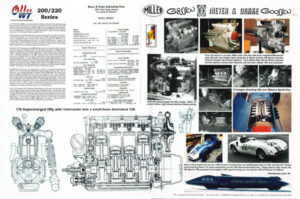 Offy engine fans who have read the book Offy, America's Greatest Racing Engine will no doubt enjoy Ken Walton's informative series of collectible 12 x 18 inch posters detailing the specs and highlights of all the different production series Offy engines. 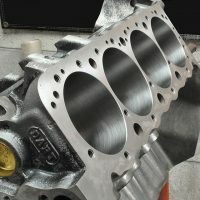 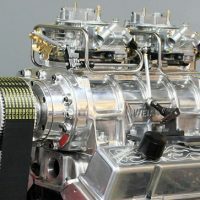 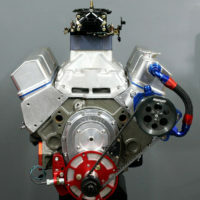 There are five altogether and they include the Offy 200/220 Series, the 168/159 Forced Induction Series, the 252 Series, 255/270/318 Series and the Midget Series. 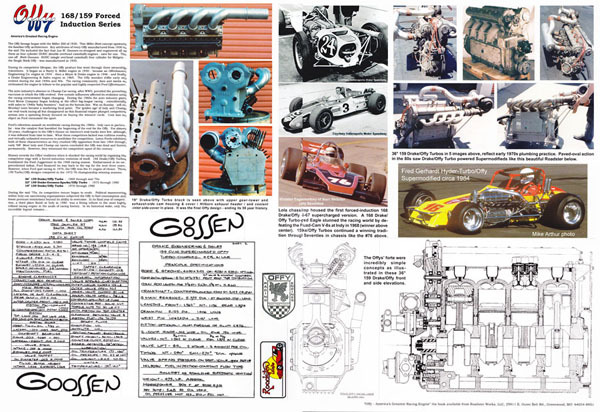 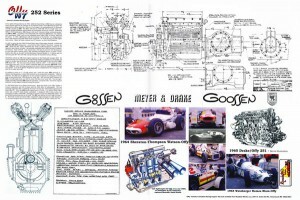 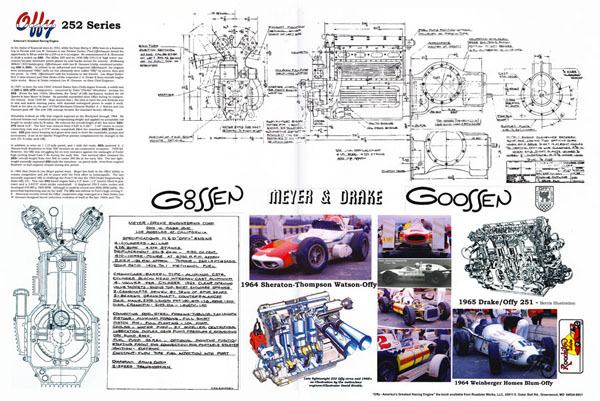 These handsome posters each contain detailed drawings, specs and photos of Offy powered race cars in action. 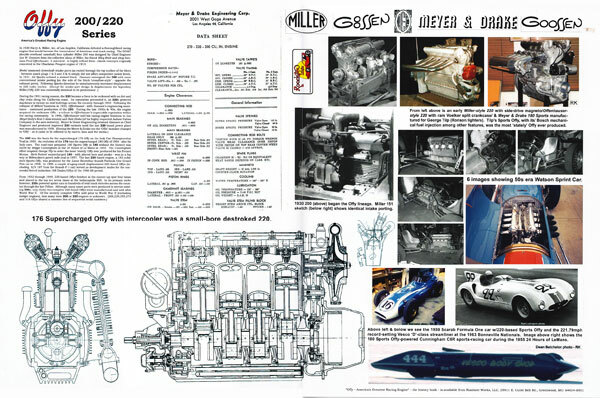 The provide an invaluable quick reference guide for each engine series and look great when framed for hanging in your shop or office. 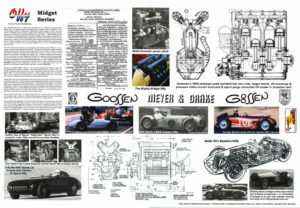 Posters are $10.00/ea + $3.00 s&h or $40.00 for the complete set + $5.00 s&h.